Please send me more information on Forest Beach at, Hilton Head Island Thank you. The Forest Beach area is separated into North and South Forest Beach. North Forest Beach includes the area between Coligny Circle, Shipyard Plantation's Crown Plaza Resort, while South Forest Beach consists of the land between Coligny Circle and the Sea Pines Ocean Gate. This community offers about 600 residential homes and lots all within steps of the Atlantic Ocean. From modest older cottages, lower maintenance villas and beachfront condominiums, to palatial new oceanfront homes, South and North Forest Beach provide properties of all sizes and price points. Due to the proximity to the breathtaking stretch of Atlantic beach and the nearby “downtown” amenities, many visitors choose to vacation in this area. Numerous privately owned home, villa and condominium properties are on the short-term rental market. There is an active Forest Beach Property Owners Association that keeps a neighborhood watch and hosts social events. For the most part, the side streets in the North Forest Beach area run alphabetically and are named after seabirds. Beginning with Avocet and ending with Sandpiper, the roads run perpendicular to and straight toward the beach and are comprised mostly of private homes. South Forest Beach runs from Coligny Circle South to the Ocean Gate of Sea Pines and is populated more with condominiums and villas. Dozens of shops, boutiques, restaurants and cafes—not to mention plenty of parking spaces—draw thousands of tourists and locals alike each year to the Forest Beach area. There are also commercial bike rentals, a mini golf attraction, and beach chair rentals on this strip. But the most popular attraction is the wide, wonderful Atlantic beach. Coligny Beach Park – This is Hilton Head’s most-visited public beach access and incudes an attractive beach walk with benches, porch swings and seating, dressing rooms and facilities, and a large, ornate water fountain play area where little children love to frolic. Coligny Plaza – Hilton Head’s original shopping area, and home of the first grocery store and movie theatre, Coligny Plaza has more than 150 quaint boutiques, beach stores and dining options and is more popular today than ever. Tiki Hut – This wildly popular oceanfront beach bar, part of the Holiday Inn Beach House Hotel, features cold libations, several beach volleyball courts, live music and is one of the most popular oceanfront gathering spots for residents and visitors. When Charles Fraser split from the Hilton Head Company in 1956, the Forest Beach area was divided into two parts: North and South. Fraser received South Forest Beach, beginning near the Sea Pines Ocean Gate. The original Sea Crest Inn, on North Forest Beach, now a stunning, high-end oceanfront condominium complex at Coligny, was already up and running before Sea Pines Plantation sold its first lot. Fraser opened Hilton Head’s most renowned original hotel, the William Hilton Inn in 1959 - now the site of the world-class Marriott Grande Ocean timeshare development - and from then on Forest Beach boomed. Commercial and residential development in Forest Beach grew rapidly and land prices soared between 1966 and 1972 with an increase of over 400 percent. How many active real estate properties are currently listed for sale in Forest Beach , Hilton Head Island? Currently there are 163 listed for sale. Are there any foreclosures currently for sale in Forest Beach , Hilton Head Island? No, currently there are no active listings in Forest Beach with a foreclosure status. Are there any short sales currently for sale in Forest Beach, Hilton Head Island? No, currently there are no active listings in Forest Beach with a short sales status. What is the price range and average price for residential homes in Forest Beach ? The price range of the 42 listed homes for sale in Forest Beach is between 410K and 4,200K. The average price is 1,694K. Click here to view all residential home listings in Forest Beach. What is the price range and average price for residential condos and villas in Forest Beach ? The price range of the 108 listed condos and villas for sale in Forest Beach is between 30K and 1,854K. The average price is 393K. 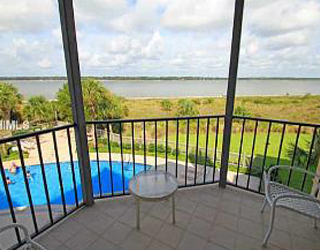 Click here to view all residential condos and villas listings in Forest Beach. What is the price range and average price for residential land and lots in Forest Beach ? The price range of the 13 listed land and lots for sale in Forest Beach is between 225K and 1,995K. The average price is 806K. Click here to view all residential land and lots listings in Forest Beach. What amenities a buyer should expect to find in Forest Beach ? 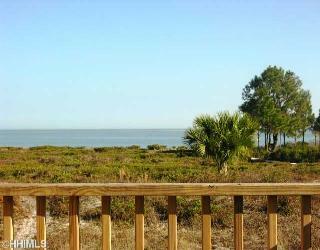 What kind of views a buyer should expect to find in Forest Beach ? Forest Beach runs parallel to the Atlantic ocean on the southern end of Hilton Head. It’s an eclectic three-mile residential and commercial stretch comprised of the North and South Forest Beach areas. 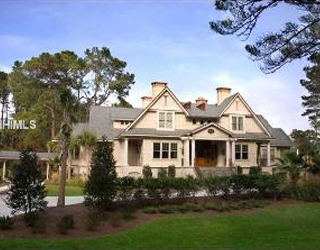 Centered at Coligny Circle, Forest Beach is one of Hilton Head’s oldest and most unique neighborhoods. Some homes and beachside bungalows were built in the 1950s and 1960s and remain as built today. The main attraction for residents and visitors to Forest Beach is the close proximity to the sea. Each lot in the area is within 600 yards of the Atlantic. While most of Hilton Head’s planned communities are gated, Forest Beach has neither gates nor private security. All of Forest Beach is within walking distance to some of the island’s original shopping, dining and entertainment establishments located in nearby Coligny Plaza.